Nowadays, the trend in the business has been changed. Making online presence has become the necessity of the business to target the clients. In this cut-throat competition, growing your business is not an easy task. By making an online presence on the internet aids the business to reach to a larger number of people which can be converted into clients. Therefore, an online presence can be made via websites on the internet. And to run your website on the internet, you surely require a professional Laos’s web hosting service provider. 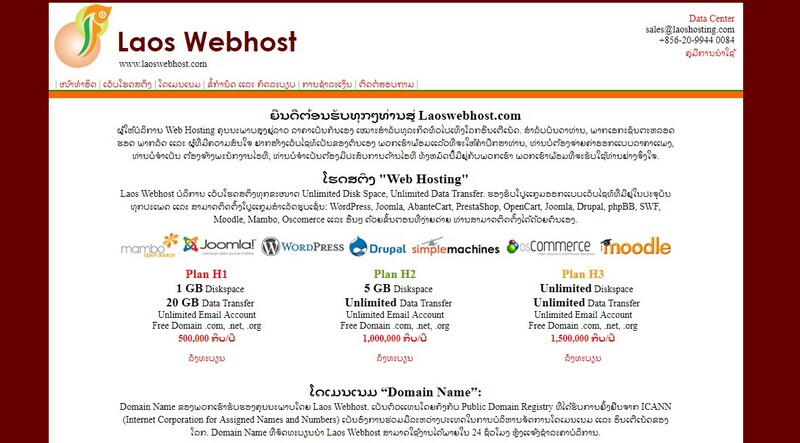 There are many Laos’s web hosting service providers. 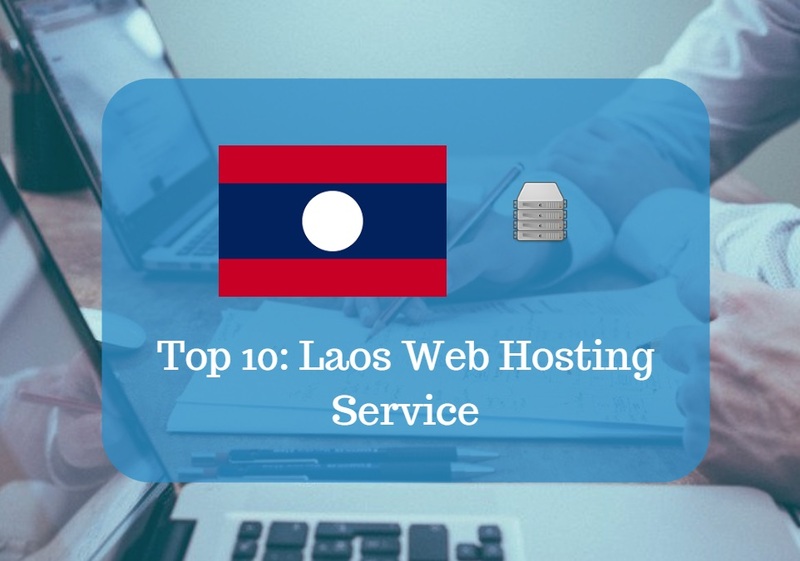 We are presenting a list of the top few Laos web hosting service providers. It is the web hosting solution which offers cheap and powerful web hosting solutions for the client’s websites. Since its establishment in the year 2013, Hosting4Lao has served over a hundred people. The services offered by the organization are website design, website maintenance, logo design, and register domains. There are various hosting packages too which include Linux Servers, SSL, domain name registration, Cloud Hosting, Windows Hosting, Dedicated Servers, VPS hosting, Reseller hosting, Web hosting, e-commerce solution and so on. Laowebhosting was founded in the year 2006 and it is a complete web hosting company. Since its establishment, the company is providing complete internet solutions like Web Design, Web Development, Web Application, Web Hosting, E-marketing, Online Database Development, Online Advertising and much more. As per the requirement, the clients can choose the web hosting package from the basic, standard, premium and secure mail hosting. All these packages have unique features for the convenience of the clients. All the web hosting services are offered to the public as well as the private sector. Hostasean is offering full web hosting services for individuals, organization and businesses based in Myanmar, Laos, and Cambodia along with the surrounding countries around ASEAN. The services offered by Hostasean are website design & development, website maintenance & support, online advertising services and Cambodia payment gateways. In fact, in addition to the web hosting service providers, the company is also indulged in SEO services such as Social Media Marketing, Online Reputation Management, Content Strategy, Content Creation and Website SEO audits. It is also providing domain related services. IMD is involved in providing web hosting services like hosting, reseller hosting, dedicated servers, and streaming. It is providing professional solutions for your web hosting problems. Its hosting solutions are supported by the value-added services accompanied by scripting and free tools. 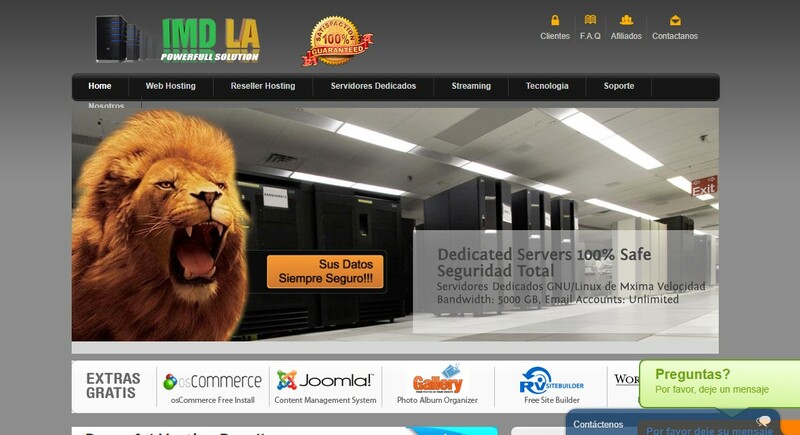 The other services offered by IMD LA are domain registration, SSL certificates, and affiliate programs. Each of the web hosting services has packages which can be chosen by the clients on the basis of the characteristics of the web hosting package and requirement of the clients. This Laos website hosting company is providing its web hosting solutions to the public and private sector. All its software related to the website designing has the latest software like WordPress, AbanteCart, Joomla, PrestaShop, Joomla, OpenCart, Drupal, SWF, phpBB, Moodle, Oscommerce, and Mambo. As per the need of the clients, they can choose the package from the Plan H1, Plan H2, and Plan H3. In addition, domain registration services are also provided by Laos Webhost. It is another Laos web hosting service provider which is offering its web hosting solutions through web hosting packages. The packages are Basic Plan, Business Plan, and Professional Plan. All these packages have unique features of MySQL databases, data transfer, disk space, users and domain. Reseller hosting is another web hosting solution offered Laos Hosting. In terms of Domain, there are different services which include domain extension, domain registration, and domain renew and domain transfer. It is involved in providing the rental site specifically for creating a website, designing a website and registration of domain name. 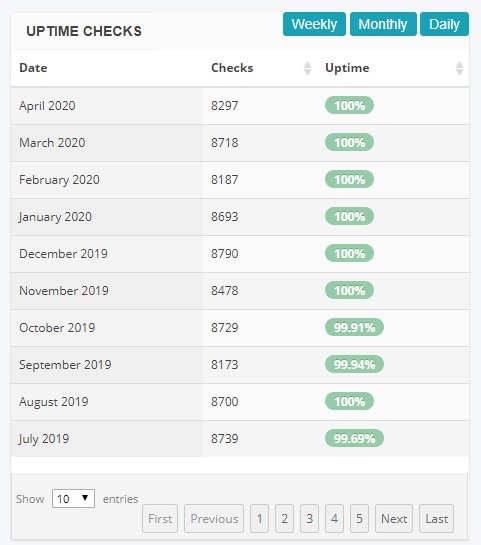 Punlaohosting is serving its clients for more than 10 years. It has Punlaohosting packages including Starter Pack, Student Pack, and Premium Pack. All these packages have different disk space, number of email accounts, number of FTP accounts and MySQL databases. All the customized solutions are offered to the clients and clients can also choose from the available packages. 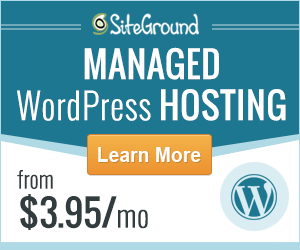 SiteGround is another Laos Web hosting service provider which offers a wide variety of services that include web hosting, WordPress hosting, WooCommerce hosting, cloud hosting, reseller hosting, enterprise hosting, and dedicated servers. For the different requirements of the clients, the company is offering different and unique hosting platforms. In terms of apps hosting, it is providing Magneto hosting, Joomla hosting, Drupal hosting and PrestaShop Hosting. In fact, in the discipline of service hosting too, it is serving its clients. It includes cPanel hosting, MySQL hosting, PHP hosting, FTP hosting and Email hosting. HostGator is quite active in offering Laos web hosting solutions in web hosting, domains, dedicated hosting, VPS hosting, reseller hosting, WordPress hosting, and cloud hostin﻿g. It is providing the perfect web hosting solutions through its different hosting plans. All the website hosting platforms are designed to fulfill the different requirements of the clients. The story of HostGator was started in a room of the university and since then it has marked its presence in the market. Bluehost is the Laos web hosting service provider with its products like shared hosting, WordPress Hosting, VPS hosting, dedicated hosting, reseller hosting and various other hosting features. Its programs include WordPress guide, marketing services, affiliates, and WordPress. Since its establishment in the year 2003, Bluehost is serving the clients with the full hosting solution in innovative ways. They have the commitment to WordPress and their dedication to WordPress has supported them to provide the web hosting solutions. Among all these Laos web hosting service providers, one can choose any one of them depending on the needs and requirements. The prices of all the Laos web hosting companies are different and you can see your convenience and budget before finalizing the one. Taking help of a web hosting service provider is essential as without hosting services you will not be able to marl your presence on the internet.